After sorting through a range of new drugs, surgeries, and medical devices for obesity care, the California Technology Assessment Forum (CTAF) voted unanimously yesterday that bariatric surgery offers a net health benefit for people with diabetes and a BMI between 30 and 35. A small group of advocates and experts commented and participated in this review of technologies for obesity treatment. The occasion was a public hearing at the California Endowment in Los Angeles. The purpose was to assess the comparative effectiveness and value of new drugs, surgeries, and medical devices for obesity treatment. Comparative effectiveness analysis is a discipline that is sometimes viewed as a great tool for sorting out an array of redundant, expensive healthcare technologies. But it’s sometimes dismissed as promoting cookbook medicine that ignores patient needs. That did not appear to be the case yesterday. The most important problem with your report is the erroneous statement that “a panoply of options await the patient.” By any definition of panoply, this is simply not true. The options for evidence-based treatment of obesity are few. The responses to them are variable. And even the most skilled clinicians in obesity medicine must constantly monitor and adjust treatment strategies to achieve acceptable outcomes. As a result, comparative effectiveness is an awkward model for assessing the current limited range of options for obesity. Average responses are misleading. An average response to VBLOC therapy, for example, might be a 24% loss of excess weight. But a substantial portion of patients will lose 50% of their excess weight. This is true of every option you are considering. And the evidence base is not yet strong enough to predict who will respond best to which treatment. OAC President and CEO Joe Nadglowski pointed out that the economic analysis of bariatric surgery in the report was based upon wildly unrealistic assumptions about utilization rates. Typically only 1% of patients who might qualify for surgery actually choose to have it. CTAF assumed that 10-25% would do so if it were offered to people with diabetes and a BMI of 30-35. The good news here is that the panel listened. OAC Board Member Michelle Vicari served as an expert advisor to the panel, along with distinguished surgeons and other clinicians. Perhaps the day will come when we have so many options that we need to narrow them down to the best of the best. 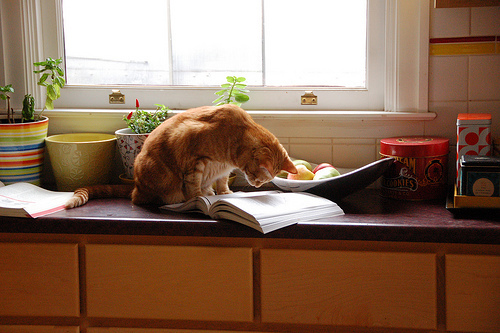 That’s a cookbook worth having — just as soon as we have the necessary ingredients. Click here to read the draft CTAF report.